Elvis is a dog unlike any other. The young bulldog puppy was an only child and was born with a cleft lip. Due to this defect, Elvis had a permanent sneer on his face (hence the name). Not only is his facial expression reminiscent of the famous singer, but the little pup is also quite the vocalist! When his mother Patches comes over, Elvis gives her a piece of his mind. 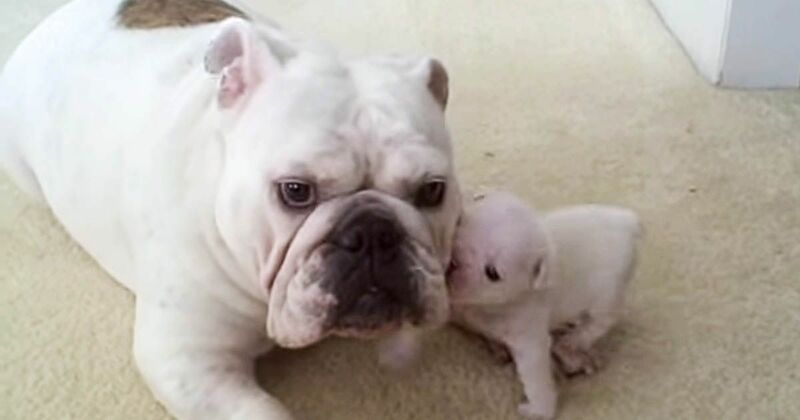 According to the video's YouTube description, Elvis was adopted by a veterinary technician that had always wanted to have a white bulldog. Although Elvis had a slight birth defect, he made up for it with his amazing charm! If you loved this video as much as we did, make sure to share it with your friends!